A new brand of entrepreneurs has arrived on the business scene, carrying with them a whole new set of values. They possess a sense of mission – to be socially responsible, protect the planet, and do the right thing for all of their stakeholders. Rather than focus exclusively on financial gain, they aim to achieve a balance between profits and one or more causes of their choosing. In fact, they view for-profit entrepreneurship as a vehicle for social change. 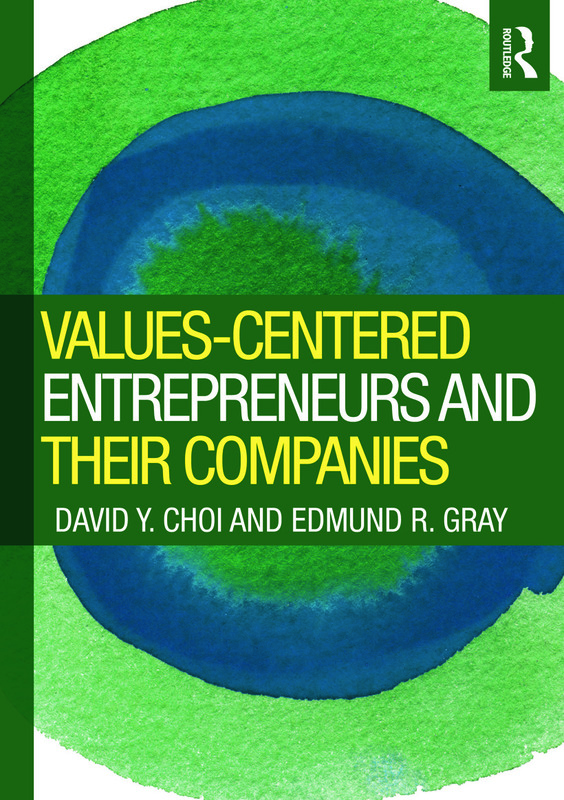 The authors call these pioneers "values-centered" entrepreneurs. Some of the values-centered entrepreneurs have been around a few decades. In recent years, however, the numbers have proliferated and the nascent movement has started to make a true impact. These entrepreneurs’ approach to management questions our basic assumptions about how businesses should be run and what their role should be in society. Several of these entrepreneurs have attained high visibility. Yvon Chouinard of sportswear manufacturer Patagoina has been a role model for integrating environmental protection to every aspect of Patagonia’s business operation. Howard Schultz of Starbucks has been able to build one of the strongest brands in the world while being the first retailer to offer comprehensive health benefits and stock options to its part-time employees. Paul Newman, legendary actor and racecar driver as well as a leading maker of salad dressings, gives 100% of Newman’s Own brand’s profits to charity. This book explores how these highly unorthodox leaders have built their profitable and socially responsible business enterprises, and what lessons can be learned for the next generation of entrepreneurs. The authors examine a group of over 40 entrepreneurial companies and how each balanced the profit objective with social responsibility in key aspects of their business operation – from their initial company formation, through growth, to exit – to build successful triple bottom-line companies. Choi and Gray particularly focus on how these firms’ commitment to values affected their company missions, hiring and organizational policies, marketing strategies, financial practices, exit options, and giving programs, and vice versa. In some cases, the authors find that the entrepreneurs’ social objectives have actually strengthened, not weakened, their business enterprises. Based on their extensive studies of these companies, he authors have distilled a set of commonalities. The book presents ten of the most dominant and interesting of these commonalities with a focus on those policies and decisions that appeared to depart from conventional business practice. In addition to devoting chapters to each of the core principles learned from these companies, the authors also include in-depth case studies of four of the ventures featured in their study.